I just paid off my commuter car and my wife and I are giving it to my daughter when she turns 16 in December. I am looking to buy a preowned suv or awd wagon. I just found a 2003 Volvo V70 XC with 83,000 miles and am very interested in it. Does anyone here own one or know about pros/cons of these? Besides being my dd, it will be used for camping and pulling a tent trailer and a canoe. Thank You. Have rented several of them and enjoyed driving them. No long term experience but it sure was a nice car to drive. Transmission solenoids and main electrical as well. My wife and I have a 2004 V70 AWD and really love it. We have had no problems with differentials or anything else. The fuel mileage has dropped (26 highway/19 city) with E85 and the turning radius is larger than I would like, but otherwise very happy with it! Boss bought his new in 2002, I do all his service, other than oil, tires, brakes, the only thing that has gone wrong in 85k miles is engine mounts, upper twice, minor electrical ect. Headlights are weak, bulb upgrade is almost a must. I recently bought a 50k mi. '06 V70R, which is AWD and have put about 3k mi. on it since posting the below thread - I really love it. But unlike Tom's, my R makes 300 hp and I'm averaging a dismal 15.5 mpg for the last 3 tanks (all around town...damned right foot ). I get about 24 mpg freeway @ 75/85 mph. Love my 2005. Not AWD though. Mine has 200,000 + on it. 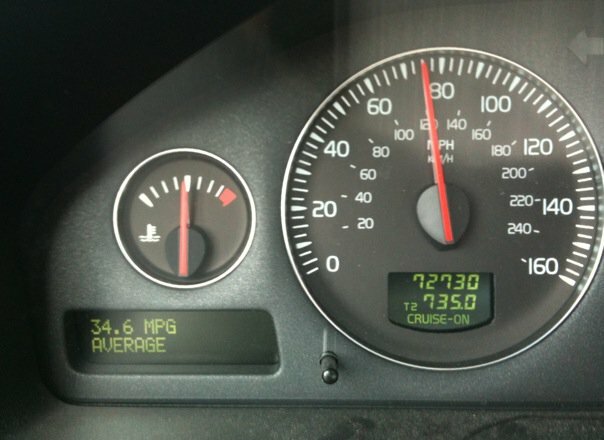 I recently bought a Volvo with 152K on it. Spent some $$ to get it up to date on maintenance. Should be good to go until 250-300K. I believe in Volvos. Front axle shafts are horrifically expensive . If it's a turbo....keep oil clean, idle it down after a drive. The oil return line will coke up and strangle the hairdryer....ask me how I know. There is a "magic" year where slushboxes became dependable. As you are in US I recon you are looking at automatic. This it's worth checking if you are buying one of these cars. Usual symptom is hunting when shifting from 2nd to 3rd and harsh shifing. And read on topic of "B4 servo cover". Other than that, it's a solid car. Yeah, one more thing. Those equipped with visco-4WD are more or less FWD and are not t be considered 4WD cars. Not that most people will ever notice... Later Haldex-equipped work much better on snow.